December 20, 2017 5:44 pm. Trainer Brian Lockwood will try to get Cruze to the MM Guineas after his Doomben win. For the second time in his career, the promising Cruze faces a last-minute chase for prize money to get into a major race. Cruze ($2.20) showed his class in running 1min18.88sec to win a 3YO Handicap (1350m) at Doomben on Wednesday. It is rare for a horse to break 1.19s for the Doomben 1350m at the midweek meetings and Cruze’s effort lived up to the big wraps trainer Barry Lockwood has on the gelding. “He still has only $26,000 in prize money and I will have to get some more as our aim is the ($2 million) Magic Millions Guineas (January 13),” Lockwood said. 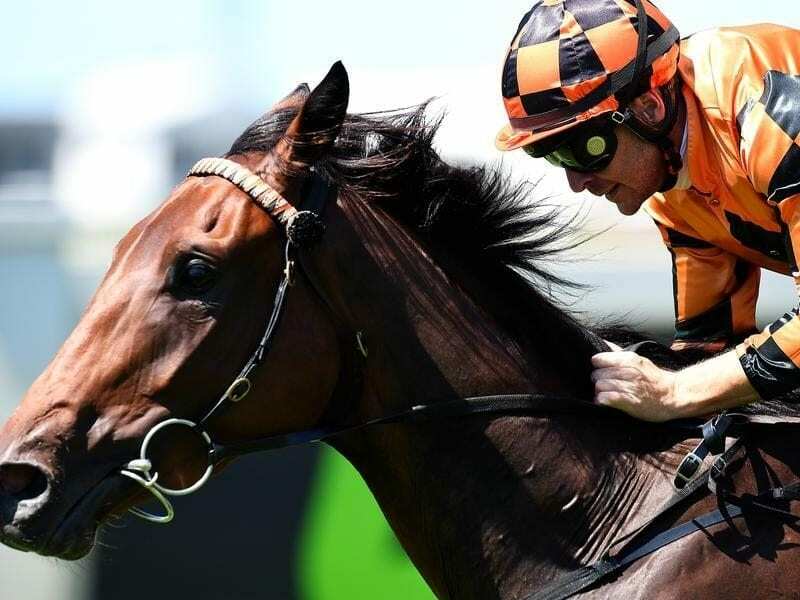 Earlier this year Lockwood was keen to get Cruze into the field for the Group One J J Atkins Stakes at Doomben in June and he took Cruze to Randwick in Sydney chasing prize money. “That didn’t work out and he was unplaced and missed the Atkins,” Lockwood said. Fellow trainer Bruce Hill rarely gets excited on race day but found it hard to hide his smile after Engraved ($9.50) finally broke his maiden status. Engraved made the most of a rails hugging ride by Michael Cahill to steam past the favourite Wallander ($2.15) in the final 100 metres to score an impressive win over 1200m. Engraved carries the colours of one of Queensland biggest owners, Neville Morgan, who has had a string of top horses such as Group One Doncaster winners Rangirangdoo and Kermadac. Morgan, who was indulging his other passion of golf on Wednesday, has horses trained throughout Australia but always makes certain he has a horse with Hill. Hill said Engraved had been a very frustrating horse and should have won a maiden well before now. “He can really gallop. You would work him during the week and think how good is this bloke and then get to the races and something would always go wrong,” Hill said.